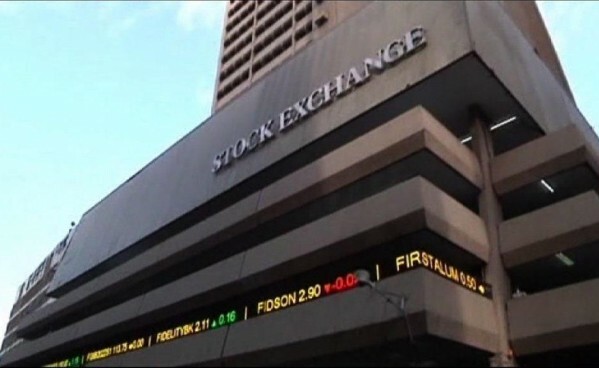 The Nigerian Stock Exchange imposed a total of ₦429.5 million in fines on companies that failed to file their financial statements as and when due last year. The latest data obtained from the NSE by our correspondent showed that the fines were slammed on 38 companies for 52 offences at different times. The erring companies were Unity Bank Plc, FTN Cocoa Processors Plc, Academy Press Plc, Union Dicon Salt Plc and Standard Alliance Insurance Plc. Unity Bank got the highest fine of ₦79.7 million, while FTN Cocoa Processors was slammed with a fine of ₦78.7 million. Academy Press was fined ₦35 million for failure to submit its audited 2017 financial statement at the due date. Union Dicon got the fourth highest fine of ₦30.8 million for late submission of its first quarter and half-year 2018 financial statements. Standard Alliance was fined ₦28.7 million for failure to file its audited financial reports for 2017 and the first quarter of 2018. The report revealed that five firms were delisted from the Exchange last year. Three of them, namely Seven-Up Bottling Company Plc, Paints and Coatings Manufacturers Nigeria Plc and Great Nigeria Insurance Plc, left the Exchange voluntarily. The other two firms, African Paints Nigeria Plc and Afrik Pharmaceuticals Plc, were delisted on regulatory grounds. The National President, Constance Shareholder’s Association of Nigeria, Mr Shehu Mikail, said the NSE was being too hard on listed firms with its fines and sanctions. According to him, the voluntary delisting of companies is one area the NSE has not tried as much as possible to curb. “Incentives and initiatives need to be put in place to encourage the companies not to leave. Companies are finding it difficult to meet up with the post-listing requirements and something must be done by the NSE to look into the issue,” he said. Mikail noted that the companies that left came to the NSE on their own accord. He said they must have had something in mind or found something attractive about the Exchange to come and list in the first instance. He urged the NSE to seek to identify areas where it fell short of companies’ expectations and address them. Mikail said, “I also heard that the NSE wants to list its equities on the floor and this should not be so because I do not see why an exchange needs to list. Great Nigeria Insurance said in December that its listing on the NSE brought no benefit to it or its shareholders. It said there had also been a considerable fall in trading volumes over the last 12 months with an average daily volume of circa 1,200 units during the period March 2017 to March 2018. The note read in part, “Shareholders are not benefiting from the continued listing as they are not getting any exit opportunity and their investments have been locked up as they find it difficult to dispose of their shareholding. The firm said the voluntary delisting would enable its directors to exercise a regulatory provision that would shield it from any enforcement of action that the Exchange might effect, such as the outstanding free float deficiency. The Chief Executive Officer, NSE, Mr Oscar Onyema, said last month that the Exchange would reduce the compliance burden on listed firms. Onyema said, “We are trying to make sure that we continue to give listed companies value. We recently sent letters to all chief executive officers of firms and encouraged them to engage with us. He said the NSE should reduce the over-regulation of listed companies. According to him, the post-listing requirements often become a burden to listed companies and make them want to leave. Akeredole-Ale said, “Also, some companies believe their stocks are supposed to be valued at higher prices than they are on the stock exchange. “Some people believe that their stocks are undervalued on the NSE and prefer to exit and leave their stocks at over-the-counter. Using the Nigerian Bottling Company (Coca-Cola) as an example, they did not see any value for being listed and when they wanted to delist, the prices of their shares rose.